Yes, we offer internships for one semester. The type and number of internships available in any given semester vary greatly depending on the projects we have scheduled. Internship duties and responsibilities range from general ofﬁce work to production work on feature ﬁlms. What qualifications are necessary to be an intern? Generally, our interns are college students from various ﬁelds of study. Although we do not pay interns, students are usually able to earn college credits for their internships. How much does your company charge to do a film, commercial, etc.? The cost of any project depends on the scope of the project. Please call us at 205.254.0020 to discuss the speciﬁc requirements of your project. Does your company have any current job openings? For information regarding employment or internship opportunities, please check the news section on the front page of our website. If nothing is listed there, we do not currently have any positions available. Please do not call. Does your company only produce films or are you involved in interactive media? 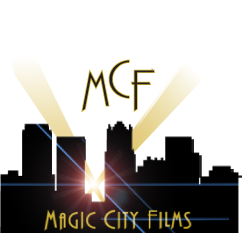 Magic City Films is a full service production company, so we can handle most, if not all, of your production needs. How can I be in one of your movies/commercials/music videos, etc.? Please send us your headshot and resume. We will evaluate them for present and future projects and keep them on file. Additionally, whenever we have casting calls for specific film or television projects, we will post all necessary information on the News section of our website. Can I email you my headshot, resume, and/or crew resume instead of mailing it to you? We prefer to receive hard copies of headshots and resumes for all crew and casting opportunities. Please do not email us your information, unless requested to do so. How can I work on a film or be on your film crew? Please send crew resumes to Magic City Films to be considered for crew positions. I have a script/idea can I send it to you? We no longer accept unsolicited script/ideas for future projects. If you would like to have your script considered, please have your attorney or agent contact us. I have a project (play, film, television show, book, etc.) that I want you to fund. Do you do that? We do not fund and/or find funding for outside projects.